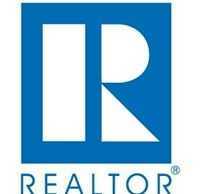 WASHINGTON – November 25, 2013 – (RealEstateRama) — Although conditions were mixed across the country, pending home sales continued to move lower in October, marking the fifth consecutive monthly decline, according to the National Association of Realtors®. The Pending Home Sales Index,* a forward-looking indicator based on contract signings, slipped 0.6 percent to 102.1 in October from an upwardly revised 102.7 in September, and is 1.6 percent below October 2012 when it was 103.8. The index is at the lowest level since December 2012 when it was 101.3; the data reflect contracts but not closings. Lawrence Yun, NAR chief economist, said weaker activity was expected. “The government shutdown in the first half of last month sidelined some potential buyers. In a survey, 17 percent of Realtors® reported delays in October, mostly from waiting for IRS income verification for mortgage approval,” he said. “We could rebound a bit from this level, but still face the headwinds of limited inventory and falling affordability conditions. Job creation and a slight dialing down from current stringent mortgage underwriting standards going into 2014 can help offset the headwind factors,” Yun said. Modest gains in the Northeast and Midwest were offset by declines in the South and West. Yun notes there was a greater impact in the high-cost region of the West, where tight inventory also is holding back contract offers. He expects generally flat home sales going into 2014, but continued growth in home prices from limited inventory conditions. The PHSI in the Northeast rose 2.8 percent to 85.8 in October, and is 8.1 percent above a year ago. In the Midwest the index increased 1.2 percent to 104.1 in October, and is 3.2 percent higher than October 2012. Pending home sales in the South slipped 0.8 percent to an index of 114.5 in October, and are 1.5 percent below a year ago. The index in the West fell 4.1 percent in October to 93.3, and is 12.1 percent lower than October 2012. Yun said there are concerns heading into 2014. “New mortgage rules in January could delay the approval process, and another government shutdown would harm both housing and the economy,” he said. Annual existing-home sales should be nearly 10 percent higher this year than in 2012, totaling just above 5.1 million, with a comparable volume expected in 2014. The national median existing-home price for 2013 is projected to be 11 percent above last year, and then cool to a 5.0 to 5.5 percent increase in 2014. The National Association of Realtors®, “The Voice for Real Estate,” is America’s largest trade association, representing 1 million members involved in all aspects of the residential and commercial real estate industries. For additional commentary and consumer information, visit www.houselogic.com and http://retradio.com. NOTE: Existing-home sales for November will be reported December 19 and the next Pending Home Sales Index will be on December 30; release times are 10:00 a.m. EST.